We have cohorts starting every month. 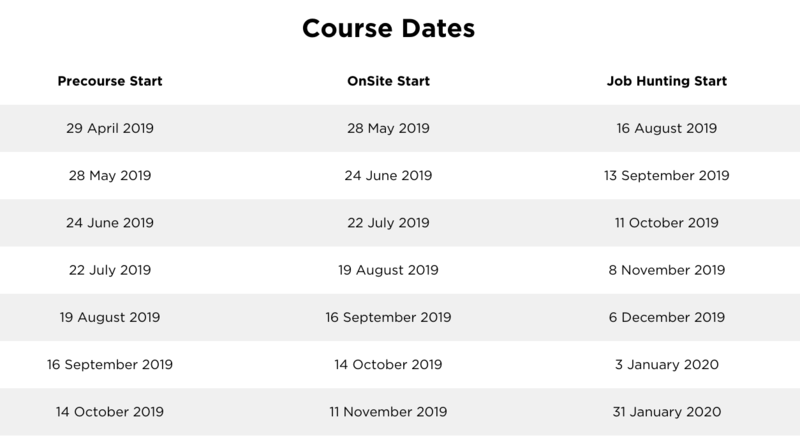 Check out our course dates below. You can also check this link (scroll down).